Let's start the busy truck driving day with oil tanker truck transportation with your as oil cargo trucker 2018. 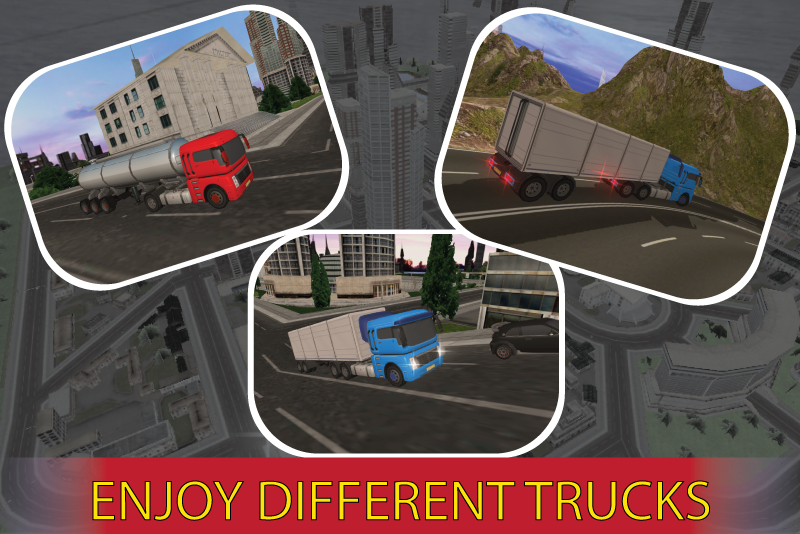 Drive your 18 wheeler heavy transporter truck in the city without any crash or accident and also perform hill climb driving 2018. 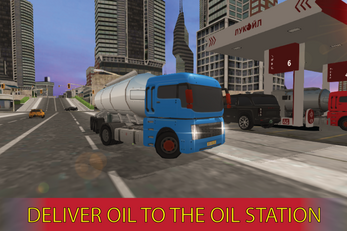 Oil Transport Truck Simulation will give the realistic simulator of driving the oil tanker using different truck models in the city and among the offroad hill climb. 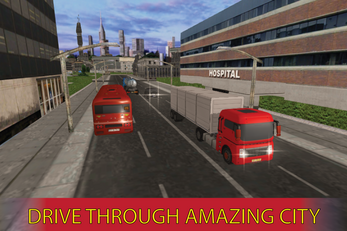 This Oil Tanker Truck Simulator 2018 is driving simulation game which requires you to drive heavy duty trucks on all kinds of busy roads and among the fast city traffic to deliver precious oil, gas or petrol to different oil reserves or gas stations of the mega city. 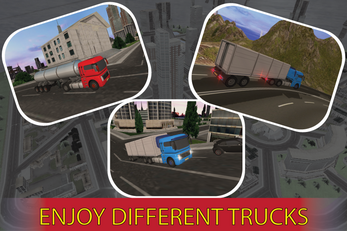 These oil truck roads will test your driving skills and you will get ultimate oil truck driving experience on the road. So let's start driving these super huge trucks on dangerous roads, twisty tracks around the city area and hill climb mountain places where is no chance of mistake or crash which may be lead heavy accident in this driving game 2018. Oil truck cargo transport is all about transporting petroleum in city. You are tycoon of this business and will experience the life of a real big transporter driver who drives his 18 wheeler oil cargo vehicle to many different places around the town. 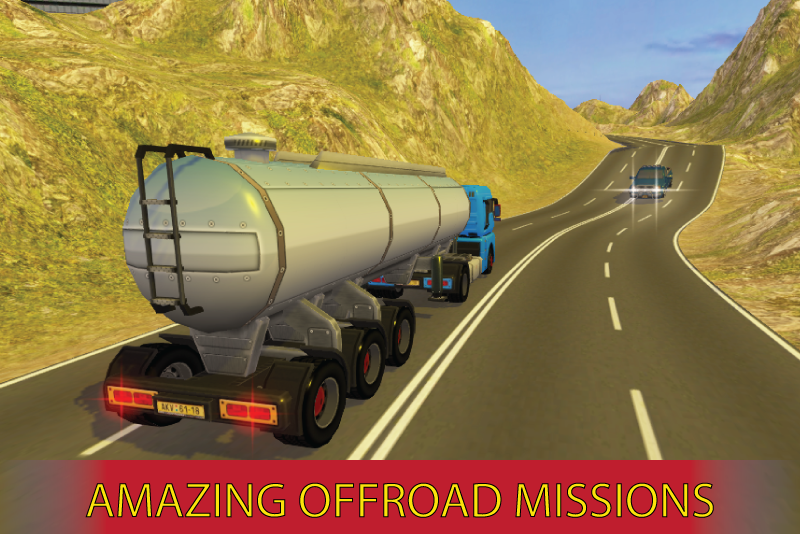 Drop the dangerous gasoline at the destination and go to the next transport driving missions in this transport simulation game. In Oil Tanker Truck Simulator 2018, start oil tanker job, you have to move to a refinery where the refining process has been completed and refined products are ready to transport. 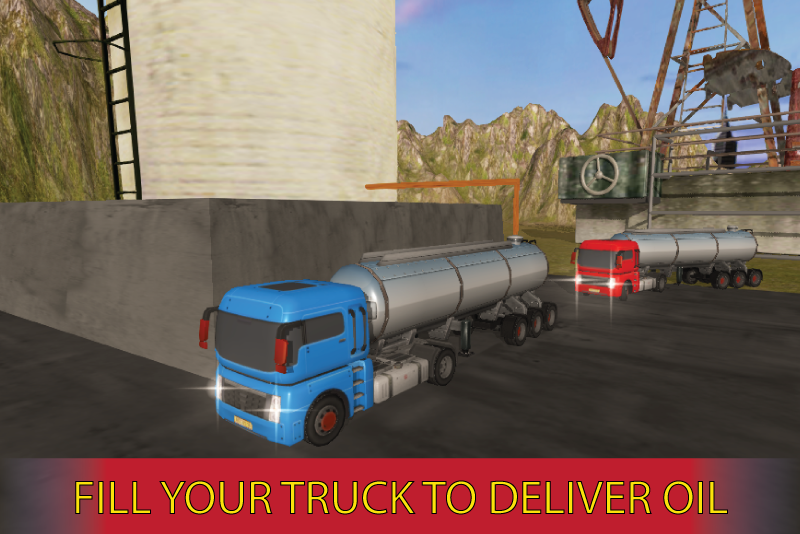 Oil tanker with cargo gas truck is an city oil delivery duty & professional driving game in which you have to drive and control a long heavy trucks models with an oil tanker attached to it. Your responsibility is to maintain fuel supply offroad mountain places and huge city areas. At the start of the oil tanker games 2018 fill your oil tanker truck from oil refinery and drive to deliver highly flammable gasoline fuel to different city gas stations within short or given time to meet the demand of petrol or fuel. You will drive this heavy duty oil transporter big truck to its destinations with extra driving care & accuracy. - Ultimate 18 wheeler transport truck driving experience with oil supply challenge. - Different gas stations or petrol pumps to deliver oil in limited time. - Driving Fun on offroad hill with real traffic of the mega city. - Realistic oil truck interiors & driving game sounds. - Extreme precision 3D simulator of heavy truck. Your reviews and feedback will be appreciated. Enjoy Oil Tanker Truck Simulator 2018.